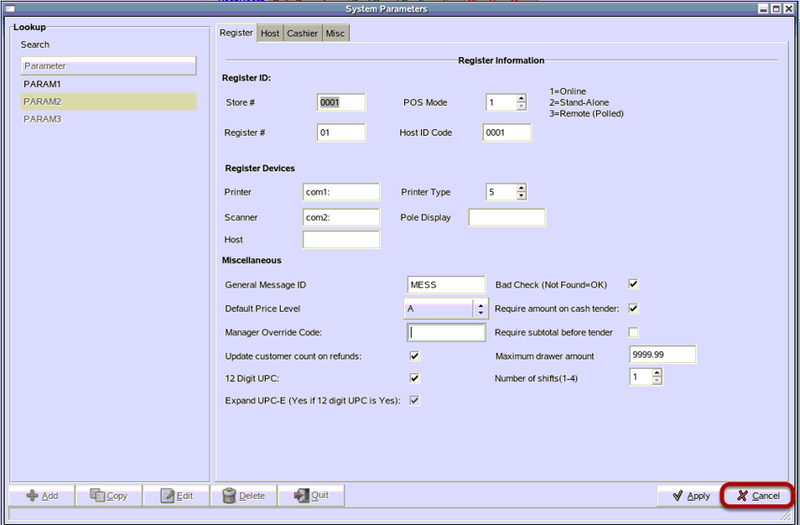 TravStar1 Point Of Sale SystemManager's Work Station Getting StartedHow Do I Change the Manager's Override Code? How Do I Change the Manager's Override Code? 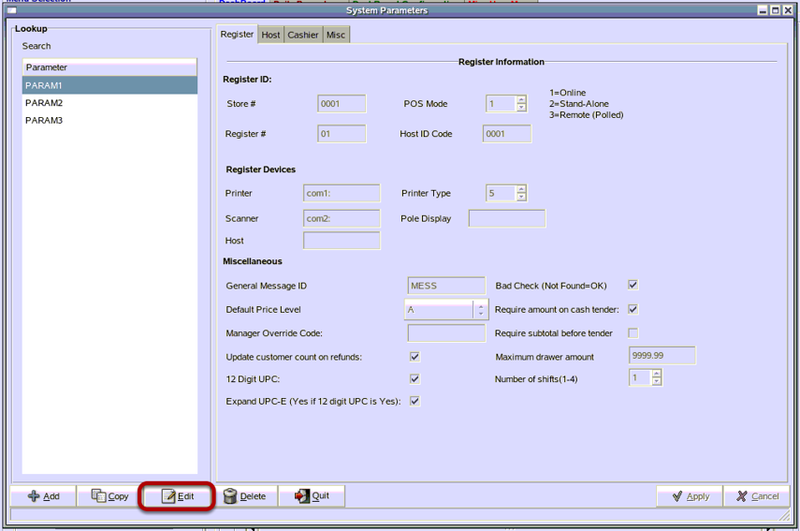 This lesson will teach you how to change the manager's override code that you use at the POS. 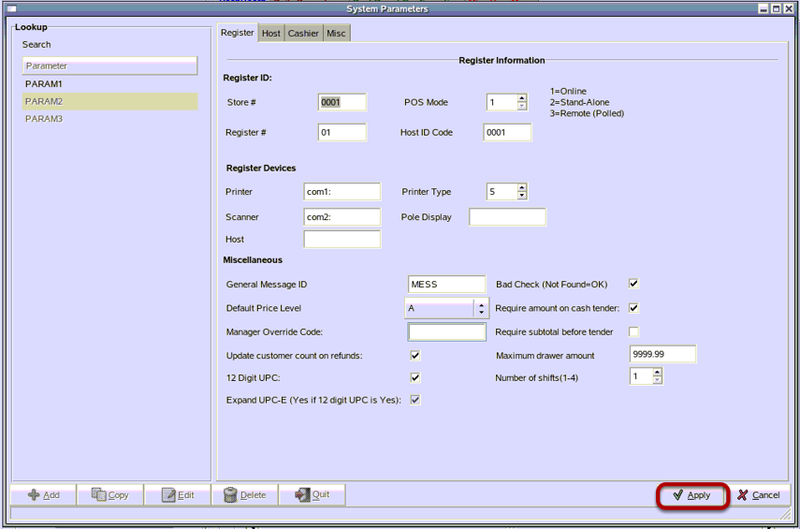 The manager's override code allows you to perform activities on the register that certain cashiers do not have permissions to do. 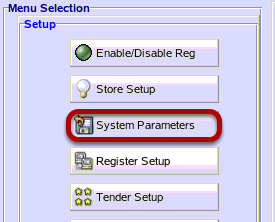 From the Setup Menu, click on "System Parameters". From the Parameter List, click on the Parameter file you are editing. This will match the register number you are changing the password for. 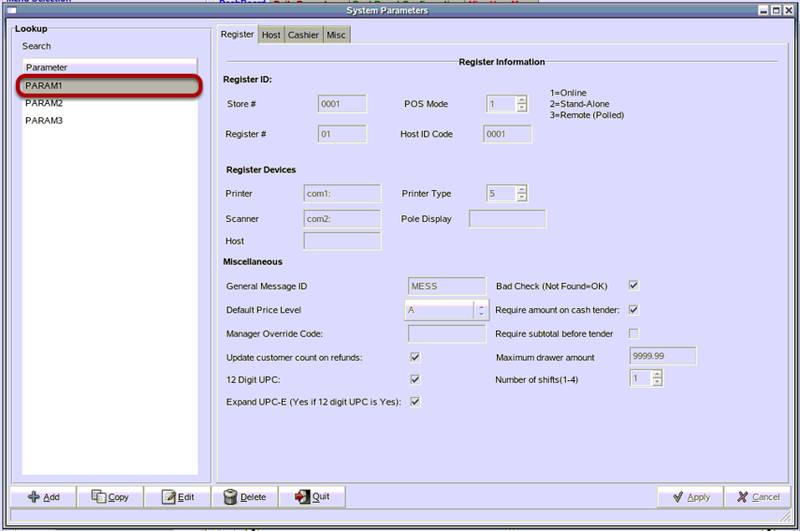 In this example, we are editing PARAM1 for REG1. Click in the field to the right of "Manager Override Code" You will see a flashing cursor in the field when it is ready for you to type. Type in your new Manager's Override Code. It should be 4 numbers. You will not see the numbers as you type them. The Manager's override code is hidden for security. 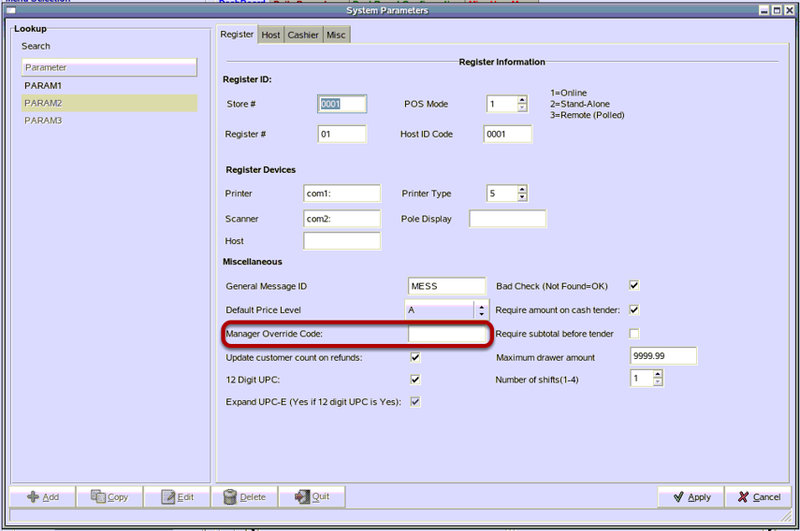 Prev: How Do I Send Departments to the Register? Next: How Do I Close the Day on the Manager's Work Station?